The figment Is equal to the image, very soft and HOT, good product. The product is like the picture, very soft and hot, good product. Very happy, Is very calientita and although I was a poco big, into conformity. excellent.. good shipping.. excellent tracking on time.. good this is a gift for a girl who loves panda.. nice.. i found a great seller.. and i found my store… be back and buy some more..
18.79-16.08 to Khabarovsk. merry vesh sewn well. gregarious salesman. thank you. Took 15 days to come to New Zealand, which is awesome took around 9 days for tracking details to actual start working which was a bit of a worry. 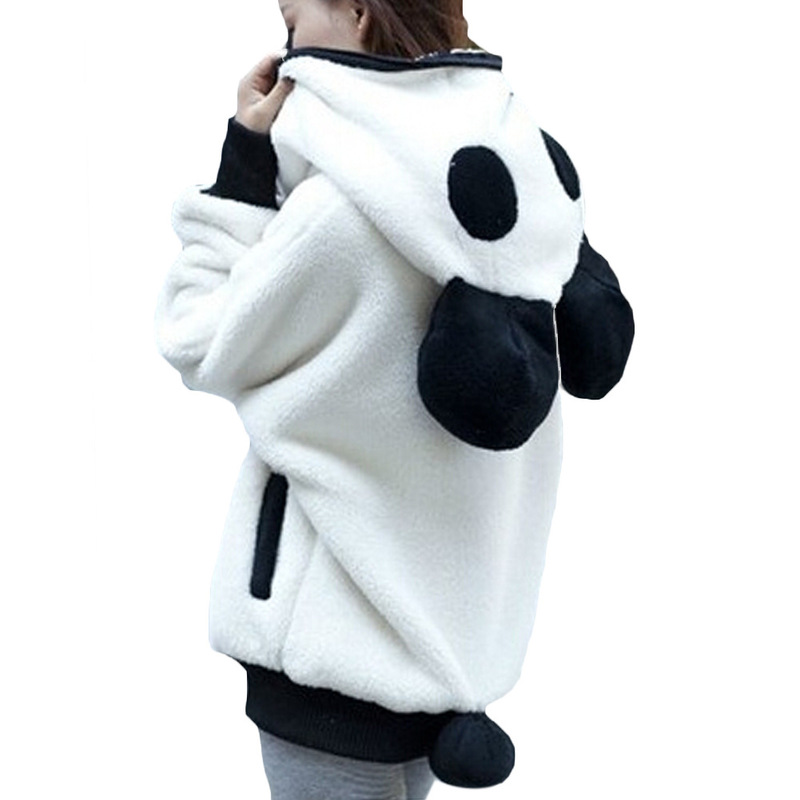 The material is thin yet warm, little white fluff balls are left on my clothes after wearing it, and the panda face looks quite deformed but seller responds quickly to questions which is great, overall very good but the zip is continuous and zips to the very top of the hoodie, covering face. Cool yet odd. Nice product, I recommend. Absolutely amazing! Very soft. Its big so u dont need a real big size. Woeth every penny! Homest seller! Recommend! Thank you! Fits like US XL in women. It was shedding some black fur when I first got it, so I handwashed it and threw it in the dryer. It has the texture of a blanket, so the more you wash it, the less soft it becomes. Fits the description. a little too narrow sleeves but it is the rules! my daughter is very happy! I recommend! Small as though very beautiful fit! All good only m goes to s …. sleeves and length is a little too small. but in general all good. I recommend!!!!! It’s absolutely soft and very warm. It’s a bit too baggy for me, but I’m quite short so can’t complain. I’d definitely recommend this . Daughter really liked it!!!!! soft, warm!!! home delivery courier!!!!! thank you seller!!!!! I recommend!!! Figment the same as the picture, Price in relation to quality, expected to be More thick. good communication with the seller. took 55 days. Shipping slow. Goods of good quality the child is happy. size l suitable for 172 62. delivery fast. thank you seller. The product arrived in less than a month, very satisfied with the quick delivery! The seller communicated with me immediately and they were very friendly. The only issue I can notice is that the panda’s tail is slightly off-place, but it was still great. It’s super cozy and perfect for the upcoming winter! Cool sweatshirt. very fast delivery. daughter happy. Very happy with my purchase! jacket was delivered quickly and directly to your home! the fabric is very warm and soft! Thank you very much seller!! I am very happy, the HOODED looks super cute, the size Is correct, my daughter This happy,. the seller Is very friendly and attentive, Shipping moderate, But Is By Mexico Post problems. recommended the product.